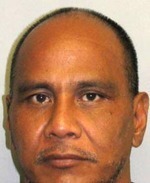 Big Island police have arrested a Hilo man in connection with a dozen car break-ins in Hilo. 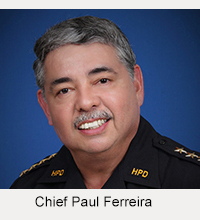 Most of the break-ins were in either downtown Hilo along Kilauea Avenue or the Keaukaha area. The investigation began when an employee of a Kilauea Avenue business reported that she saw a man open her car door, grab her purse and run away on October 26. The woman chased the suspect on foot but lost him after he turned up Kukuau Street. Police investigation led to the arrest of 45-year-old Joseph Ada on Thursday (November 10). Further investigation linked him to 11 additional cases. On Friday (November 11), detectives from the Area I Criminal Investigations Section charged Ada with 12 counts of unauthorized entry of a motor vehicle, four counts of second-degree theft, two counts of third-degree theft, 12 counts of fourth-degree theft, eight counts of third-degree identity theft and eight counts of fraudulent use of a credit card. His bail was set at $262,000. 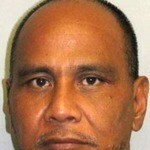 He was held at the Hilo police cellblock until his initial court appearance on Monday (November 14). Police remind the public not to leave valuables unattended and visible in their cars. 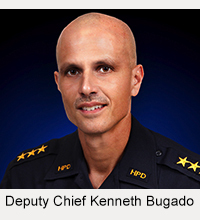 Police also discourage the public from pursuing suspects themselves. It is safer to call police for assistance.